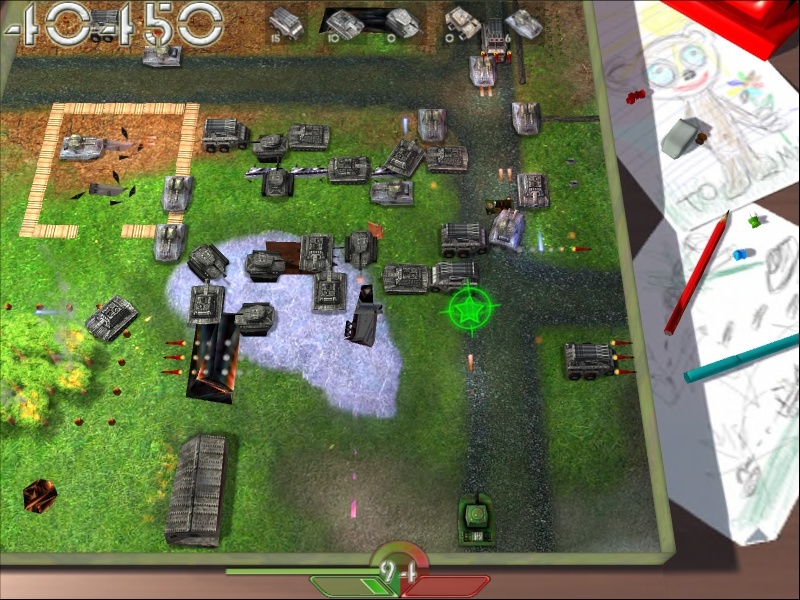 In this battle arcade you must operate the tank and protect your headquarters from the formidable enemy while enduring 55 fiercest tank battles that unfold on the imaginary writing-desk between amusing kid's sketches and office stationery. 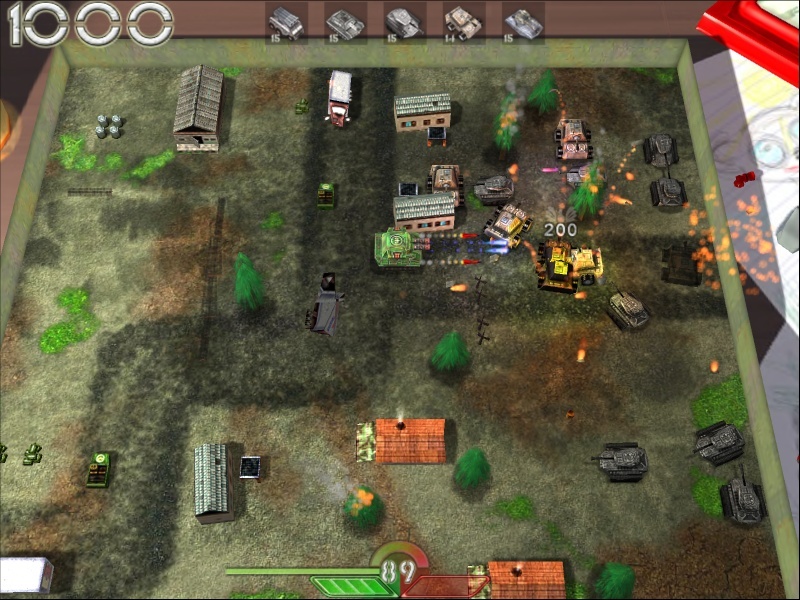 Completing the assignment will not be an easy job as you have to resist the deadly onslaught of 8 different types of tanks and armored vehicles that turn your desk into another Stalingrad. Your survival technique will be to take advantage of the terrain and maneuver between numerous natural and artificial obstacles while preparing for the next gunshot. 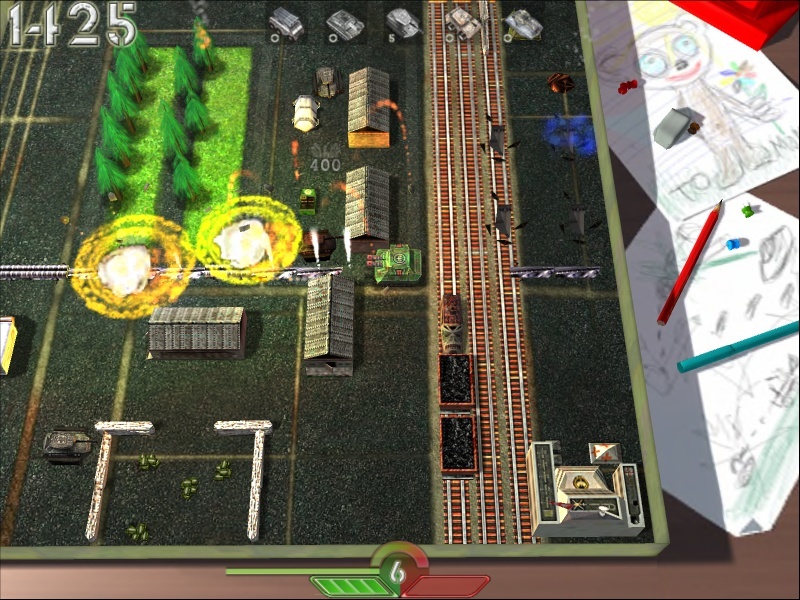 Along the way, you must collect bonuses ranging from Enemy Freeze and Air Strike to Tank Upgrade and Extra Life as they can significantly increase your survival chances. 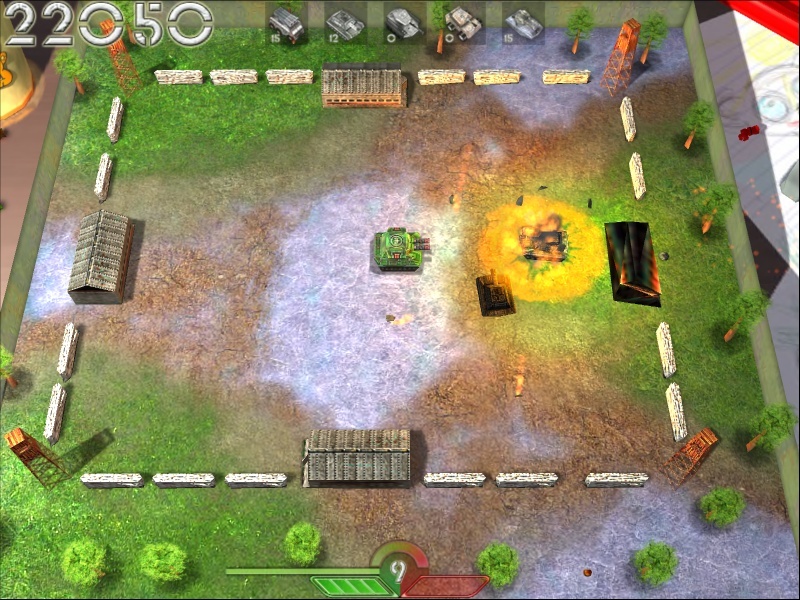 In the latest version of Tank-o-Battle you will discover the new Extra mode offering 99 lives to enjoy the non-stop battle with hundreds of tanks, rocket launchers and armed vehicles. Also, you can choose single player or play co-op multiplayer with a friend as you march and fight together against the savage enemy. Featuring 3D digital sound encoded to five full-bandwidth channels, the game exposes players to terrific Dolby Surround sound effects. With the game supporting feedback mouse and joysticks, players may experience even more realistic gameplay than ever before.